A few weekends ago my boyfriend D and I took a trip to Oxford. 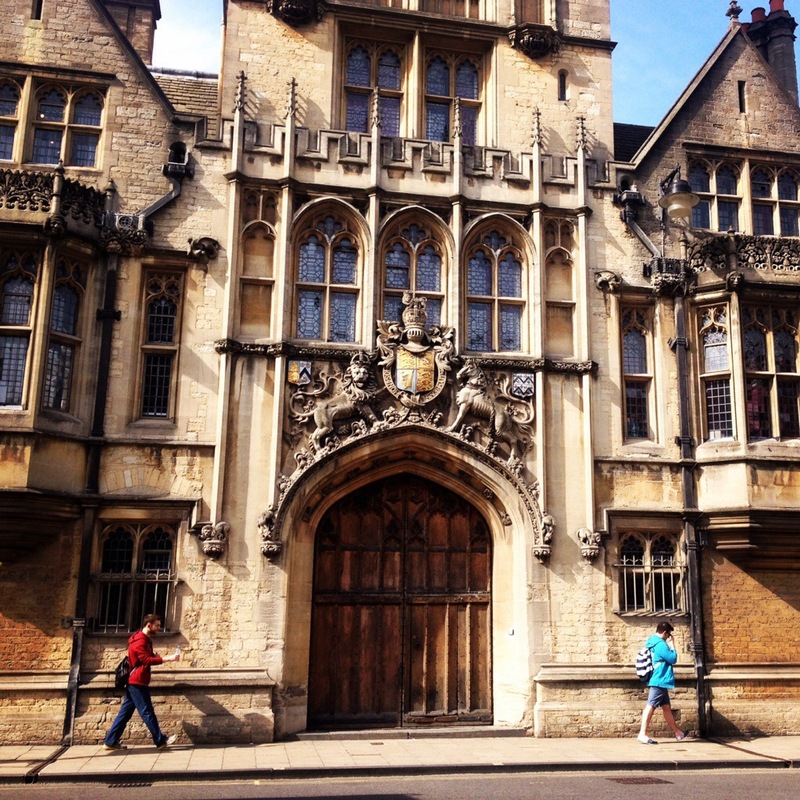 At around an hour on the fast train from central London, Oxford is a convenient and pretty getaway, and there is no shortage of gluten free options. Hidden down a side street, this lovely cafe is worth seeking out. When we arrived, we did the usual touristy wander around and gawp at the university (*wish I’d studied harder, wish I’d studied harder*) and soon needed sustenance. For lunch, we ate at the Organic Deli Cafe. I was very impressed with their knowledge of gluten free and coeliac needs; I didn’t have to explain anything to them and they immediately reassured me that they would wipe down the surfaces and equipment before making up my food to avoid contamination. 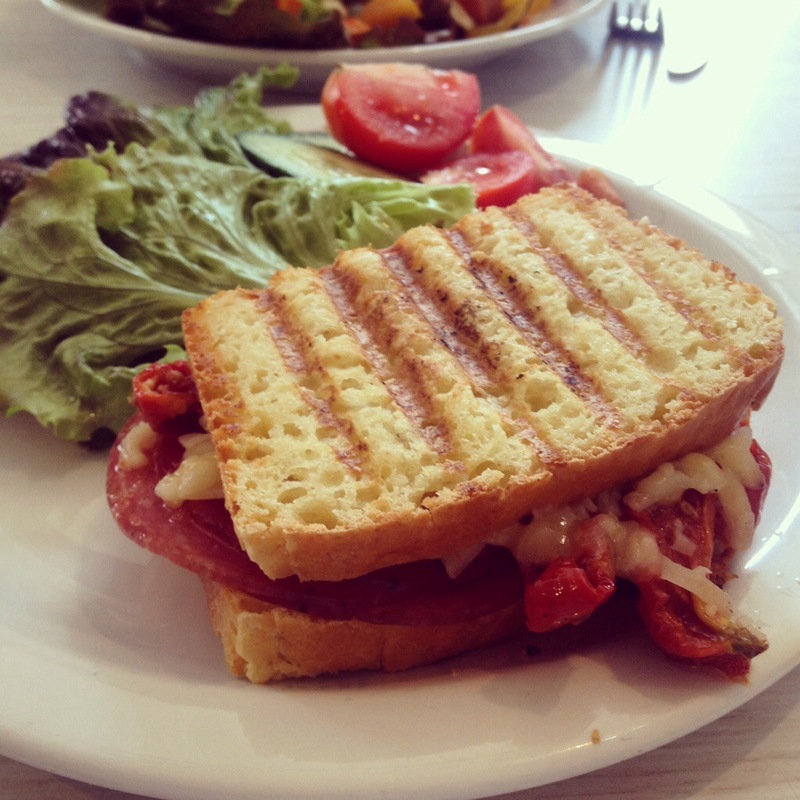 the ‘Milano’: Salami, olives, sundried tomatoes and cheddar cheese on homemade gluten free bread, served with lovely fresh salad. There was a lot of choice for people eating gluten free in the cafe, including homemade gluten free bread (made using Dove’s Farm flour) and a long list of gluten free sandwiches, cakes, salads, etc. Their hot breakfasts also sounded yummy. 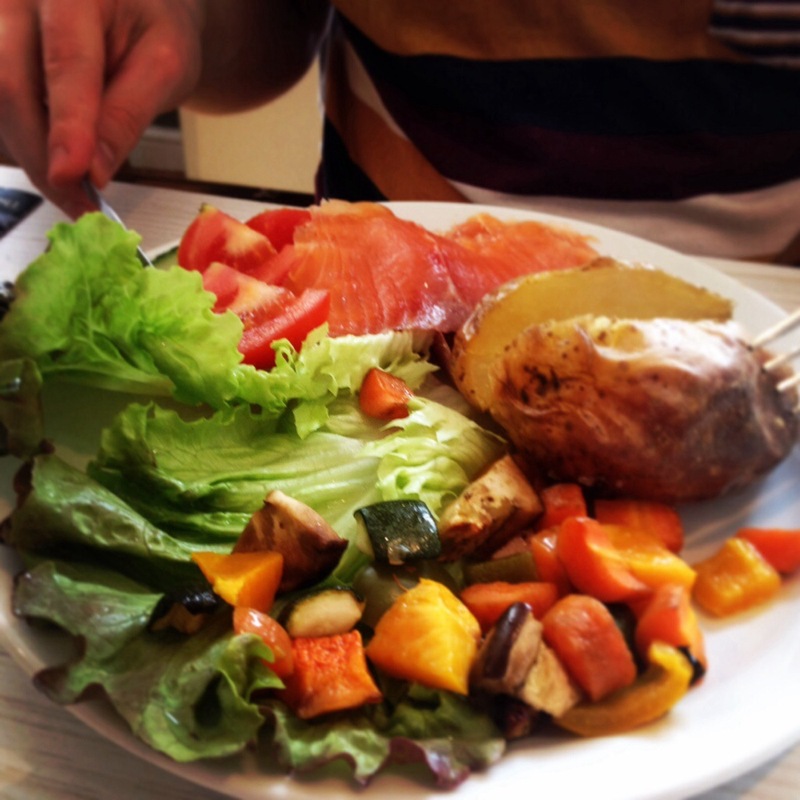 D’s meal: Smoked salmon and roasted vegetables with a proper baked potato and salad. MMM. It was a treat to order a proper toasted gluten-free sandwich and salad. You could taste the quality of the organic ingredients, and the bread itself was delicious. There was also a choice of gluten-free cakes for pudding, and my favourite: macarons! 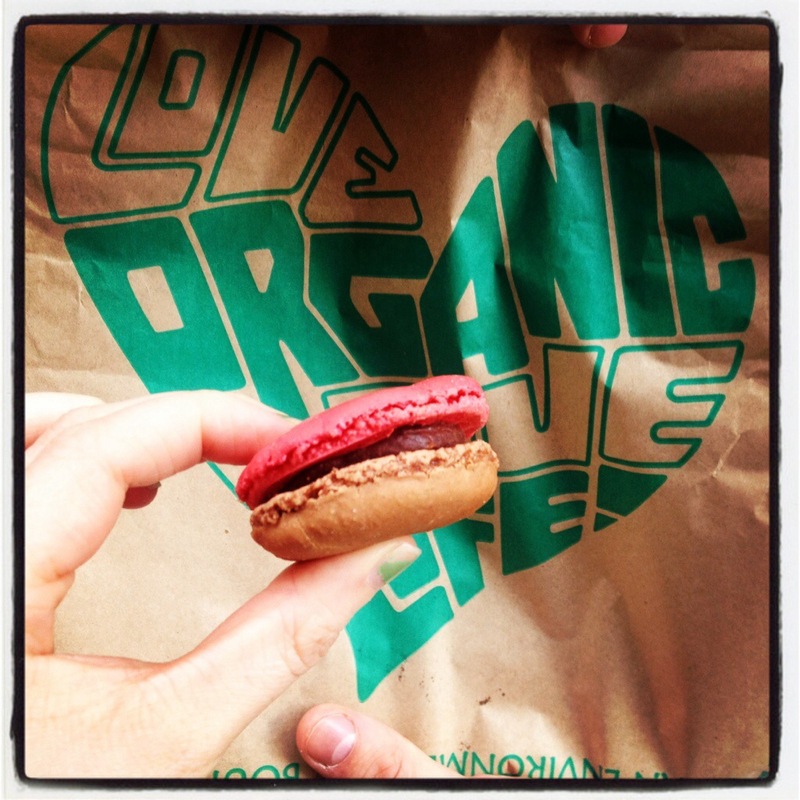 I LOVE pretty french macarons, but rarely find any that don’t contain traces of gluten. These were made by an independent supplier that I really should have noted the name of! The only downside to our visit was that we unfortunately seemed to arrive at their busiest time ever (it was a bank holiday), and had to wait over an hour for food (we went for a walk and came back). The staff were friendly and helpful, but it was so busy that it took a while for any tables to be cleaned or food to arrive, which could have spoiled things had the food not been so nice. Inbetween meals, we visited the Pitt Rivers Museum, a treasure trove of archeological and ethnographical finds, including an amazing T Rex dinosaur. This would be a fun place to take kids (and grown-ups), it is free entry and there are lots of fascinating animals (skeletons and taxidermied!) and historical objects to look at and even touch. 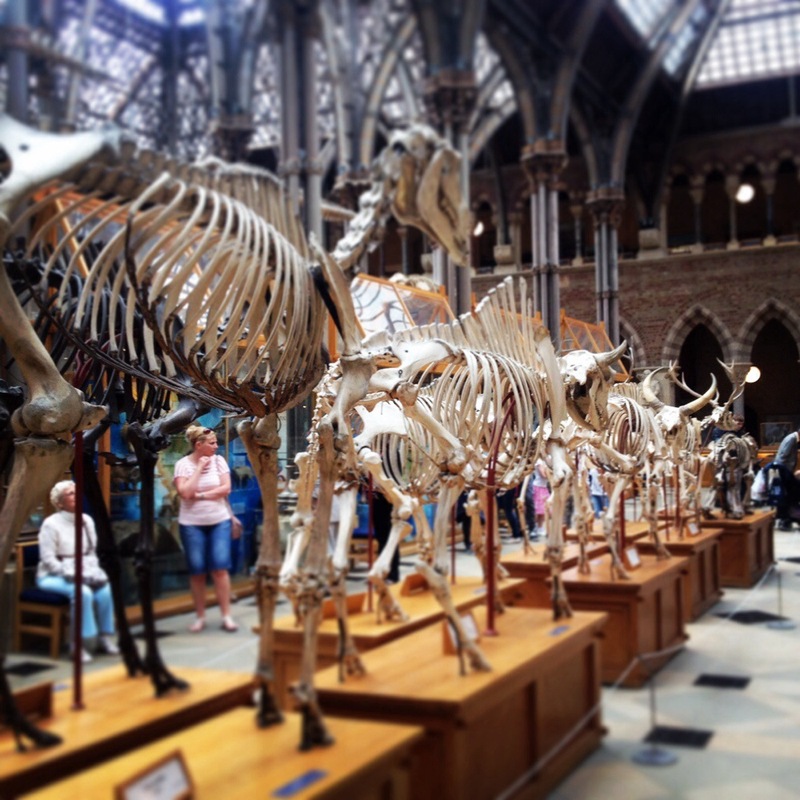 In a similar vein to the Natural History Museum in London, but a lot less crowded. For dinner we were craving pizza and went to Ask. I hadn’t been to Ask in a while as I have a distant memory of being disappointed with their gluten free pizza when it first came out…but on this visit I changed my mind. Coeliac UK have awarded Ask their NGCI accreditation (No Gluten Containing Ingredients), and they have a comprehensive ‘No Gluten Menu’ which you can view here. I love when restaurants actually take the trouble to create a menu for coeliacs and gluten free dieters; it is so much more welcoming than a hastily scribbled ‘ask your server’ at the end of the normal menu, and makes it easier to see your choices. 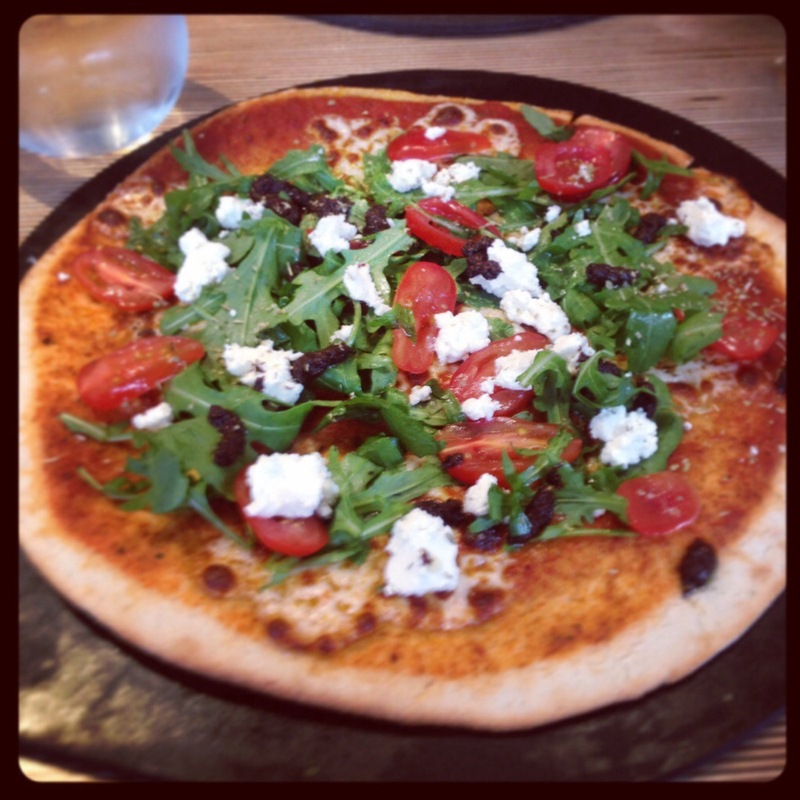 the ‘Caprina’: tomato, mozzarella, rocket, goats cheese, olive tapenade and Calabrian oregano. The pizza base was thin and crispy – very thin – and I was pleased that it tasted less sugary than Pizza Express ones have tasted to me recently. The standout hit of the meal was the gluten free hot chocolate pudding. OH LORD. It was similar to the utterly delectable Marks and Spencers Hot Chocolate Fudge Pudding (this can only be a good thing), and was served with gluten free vanilla ice cream. It lasted about 30 seconds. Phwoar! ^ All in all Oxford made for a pleasant day out, and even apart from the Organic Deli Cafe and Ask, there were plenty of coeliac-friendly chains around. 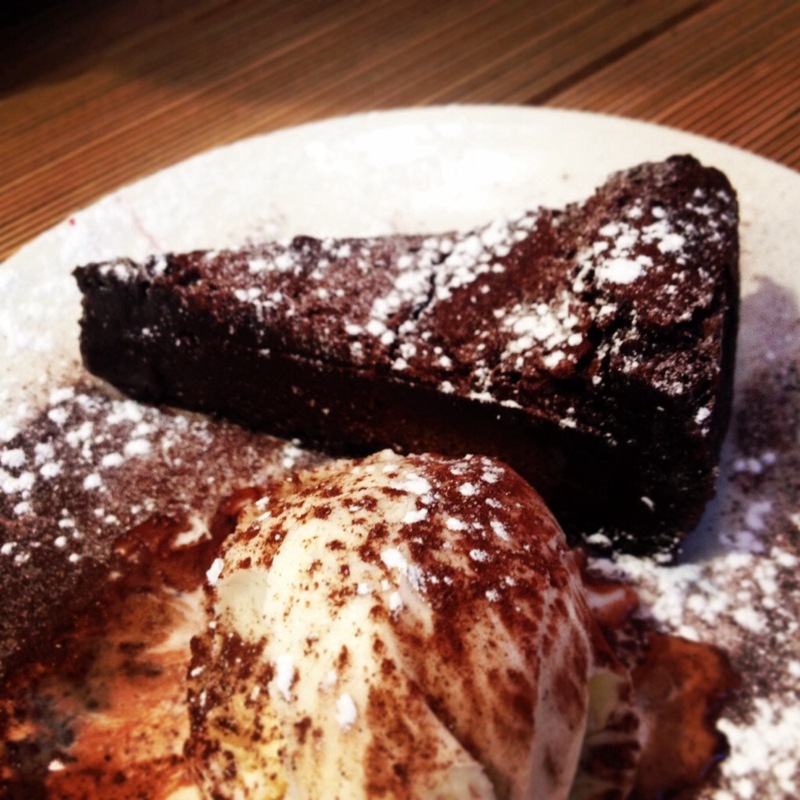 Where are your favourite places to eat in Oxford? 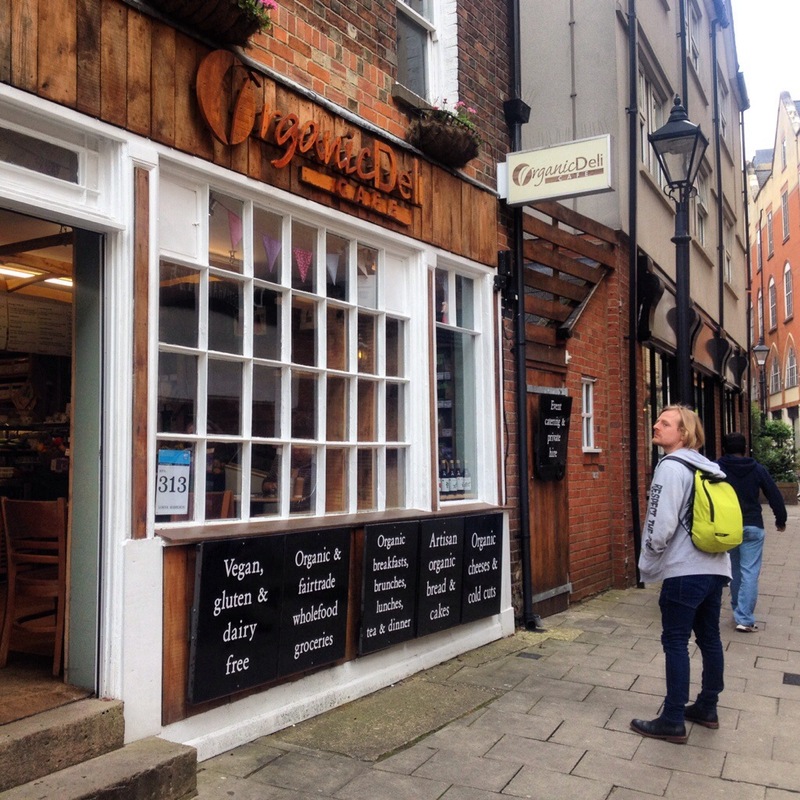 I live in Oxford and whilst the Organic Deli cafe has been on my radar for a while, I didn’t know about Ask’s gluten free menu, really good to know! Next time you’re in Oxford, head to Atomic Burger or Atomic Pizza on the Cowley Road. Amazing Gluten Free choices and undoubtably the BEST burgers in town! We almost went to Atomic Pizza but didn’t have time to walk over in the end. Will keep it on the list for next time! Previous PostJimmy Kimmel dismisses the Gluten Free diet as ‘annoying’. Next PostFlat Iron: Best Steak in London?